Thus far, in the “What’s Your Sign(ature)” series, we’ve looked at the Cleveland Indians, Pittsburgh Pirates, and the Houston Astros. Today we’ll take a look at my team — the New York Mets — and as you can probably tell from today’s splash, their signature uni is the “Racing Stripes.” It’s also my least favorite uniform. But if we take a look back at the uniforms the Mets have worn through their 50+ year history — this is the one that really stands out as the “METS” more than any other. For the better part of their early history, the Mets had beautiful classic uniforms: designed to “honor” the colors of NYC (and coincidentally the departed Dodgers and Giants), the uniforms were royal blue and orange, with a pinstriped uniform for the homes (despite rumors that the pinstripes were added as a tribute to NY’s AL team, the one that didn’t move west — there is no conclusive proof the pins were worn as a tip of the cap to the Yankees). As the polyester craze took over the league in the early-mid 70’s the Mets uniforms began to change as well — although not too radically. From 1974-1977, the block “NEW YORK” on the roads was changed to the same script “Mets” as on the home uniforms. Both unis would remain button-front and have belts. In 1978, the Mets would ditch the full button-front jerseys for both home and road, and would go to a 2-button ‘henley’ style top. They’d also add blue/orange/blue trim on the sleeve ends and collars. They’d keep this uniform look from 1978-1981. So, through 1981, the Mets had some beautiful (and some pretty nice) uniforms, certainly classics — but nothing that would really “scream” Mets…their signature uniform wasn’t far off however. 1982 would be the transitional year. In that year, they’d keep the henley tops for their homes, but they would add their (in)famous racing stripes to the road uniforms. Those road tops were full pullover tops, but they would keep the belted pants (something they would do throughout their time wearing pullovers — an odd look during a time when most, but not all, teams who went to pullover tops also wore sansabelt pants). The big change, and the change to the signature uniform, occurred fully in 1983 (and would last through 1990), when they went to the racing stripes full-time on both home and road uniforms. Interestingly, they went through several different road uniform styles during this time (always keeping the racing stripes). They’d begin with the script “Mets” which they’d wear from 1983 through 1986, then a one-year script “New York” font in 1987, finally reverting to a block “NEW YORK” font from 1988 through 1990. Oh yeah. Those uniforms were gaudy, loud, obnoxious — pretty much like the Mets during that period. 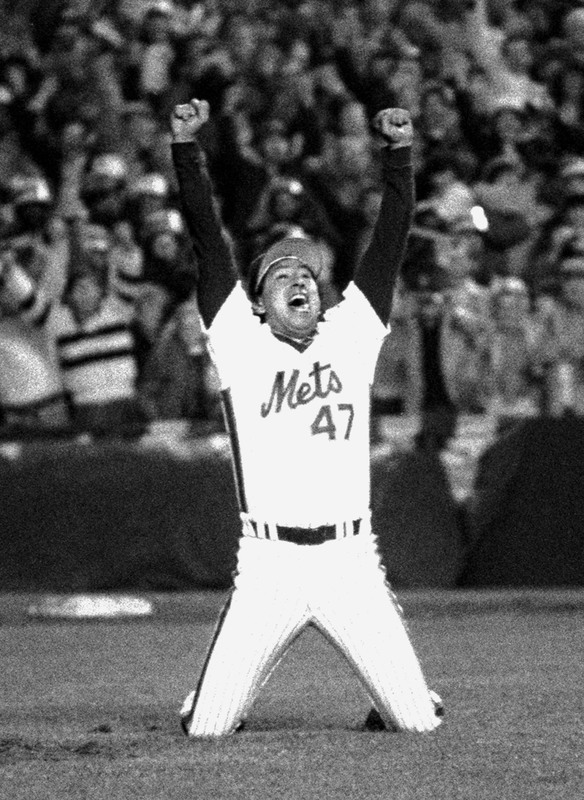 It doesn’t always follow that a team’s signature uniform is worn during its period of most sustained success (if one World Series title and two division titles in an 8 year period, but usually always in contention, defines the Mets greatest success), and certainly the iconic images from the 1986 World Series add to the lore. But the racing stripes ON the pinstripes (and with pullovers over belted pants to boot) was a look the Mets owned. No one before or since wore a combination of that order. If one (or at least anyone over the age of say, 30) were to think back to one uniform that ‘defined’ the Mets, the 1983-1990 uniforms certainly qualify as their “signature” look. When we think back we ALMOST always associate the racing-pins unis as pullovers, but the Mets would actually revert to button-front jerseys with this design for two additional seasons — they’d wear those in 1991 and 1992. Mercifully, the Mets would finally lose the racing stripes after the 1992 season. For the next two years, they’d go back to plain(er) pins and gray roads, with a odd “fishtail” script on both the home and roads. For a brief period before the “BFBS” would take root in the late 1990s and last into the 2010’s, the Mets uniforms returned to their roots — a look they basically currently sport. In 1995 and 1996, they’d return to the “basic” (classic) Mets uniform, with script “Mets” on the homes and tuscan-style “NEW YORK” on the roads. In 1997, the would also add a “snow white” home uniform (worn with an “ice cream man” cap). 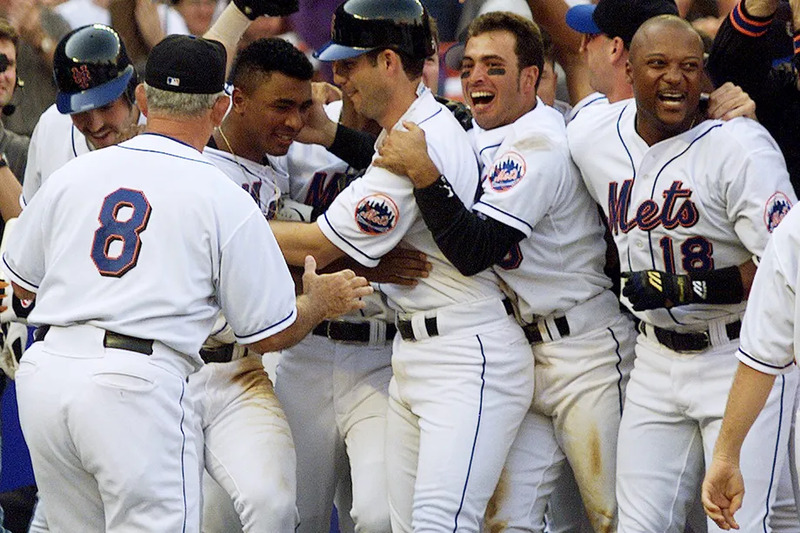 When 1998 hit, the Mets went black (for black’s sake) and almost never looked back. They began by adding black dropshadow to the wordmarks, and added two new caps (a hybrid black/blue cap, followed by an all-black cap in 1999). In 1998, the squad also added a black jersey. They were late-comers to the BFBS craze, and held onto it longer than most teams, keeping it through the end of the 2011 season. The would not return to their uni-senses until the 2012 season, which marked their 50th Anniversary season. Finally — in 2012 — the Mets returned to their “classic” uniforms — non-dropshadowed pinstripes at home and road grays, but they kept the snow whites — and made the pinstripes a cream color (trying to evoke images of yellowed flannel uniforms of yesteryear). But they looked like the Mets again. They would add a blue alternate in 2013 (and the road alt would get its own cap in 2015), and drop the snow whites at the beginning of the 2015 season (they then changed the color of the cream pins to white). But for all intents and purposes, the 2012-2016 club has looked very much like the 1965-1973 team. It might not be their “signature” look, but it is their best. And there you have it — for a majority (or certainly a plurality) of their time, the Mets have had some really good, classic unis, and two distinct periods (the racing stripe era and BFBS era) when their unis haven’t been quite as good. But the one set that you could instantly and ALWAYS identify the Mets in and by … was the racing stripes. For better or for worse, it’s their sign(ature). Any idea why the Mets kept the belts? Only a handful of teams made it through the 1970s without going the sansabelt route: Dodgers, Yankees, Phillies, Expos, Tigers at home. 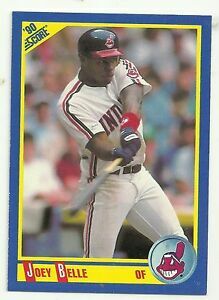 Is Lance Johnson wearing a jacket under his uniform top in the “Snow White” photo? The kind of thing I always noticed as a kid: Mets wear pullovers with belts; Orioles and Rangers wear button shirts with sansabelts. And the Tigers can’t decide between the two styles. Add the 1972-79 Braves to the “pullovers with belts” category. And like the Mets, they looked fantastic. Neither team has ever looked better than their respective racing stripe on pinstripes uniforms. My one complaint about the Mets racing-stripe uniforms: The sleeves should have been raglan, rather than set-in. A detail the Phillies also got wrong, but that the Expos, lacking pinstripes on their racing-stripe jerseys, got right. Didn’t the Cleveland Indians do the racing stripe thing? In the 80s or 90s? 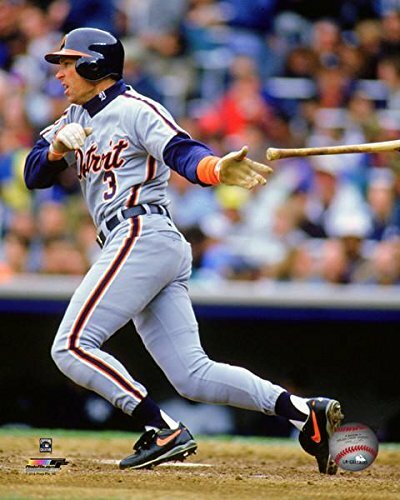 Don’t forget the Detroit Tigers in racing stripes. I always loved those MLB racing stripes…they fit perfectly for the times. I think the Expos and Phillies were the originators. I hate when a team with blue as their primary color goes with BFBS. For some reason this seems worse than when a team with say red or green does it, even though I don’t like those either. Racing stripes are awesome, and I can’t wait for a team to bring them back. I wonder who’d actually look the best with them- seeing the Astros bring them back would look really nice with their otherwise plain shirts, IMO. Ashley Madison as an advertiser. Very classy…..
Are you talking on the left side. You know those are generated by google according to your browsing history right. Oh the hilarity! I think a number of teams adopted the “fishtail” in the early 90’s (Brewers, Expos, maybe the Orioles and of course the Marlins). Perhaps an unpopular preference, but I always liked the Mets ’87 gray road script jersey. I think fans of the team should decide a team’s signature look, not a fan of another team. For example, my wife is a lifelong Indians fan and she thinks the choice for the Tribe’s signature look is ridiculous. She calls it “the blood clot uniform.” Honestly, I’m inclined to agree with her. It’s definitely their most garish look, but not the uniform with which most of their fans associate the organization. I happen to be a Pirates fan and I think the Bucs’ choice was also a swing and a miss. Again, it’s definitely their most colorful look, but not the uniforms with which most associate the organization. That honor would definitely belong to the vest uniforms – which they never should’ve abandoned either time. The Pirates wear their bumblebee uniforms on Sundays and they look awful. Players don’t know how to wear the pillbox caps anymore —and they’re not designed to be worn that way anymore — and they look sillier than they did even in the late 70s when the entire culture looks silly 24/7. I enjoy the hell out of this website and I have enjoyed this series. However, I think you missed on at least two of your choices. 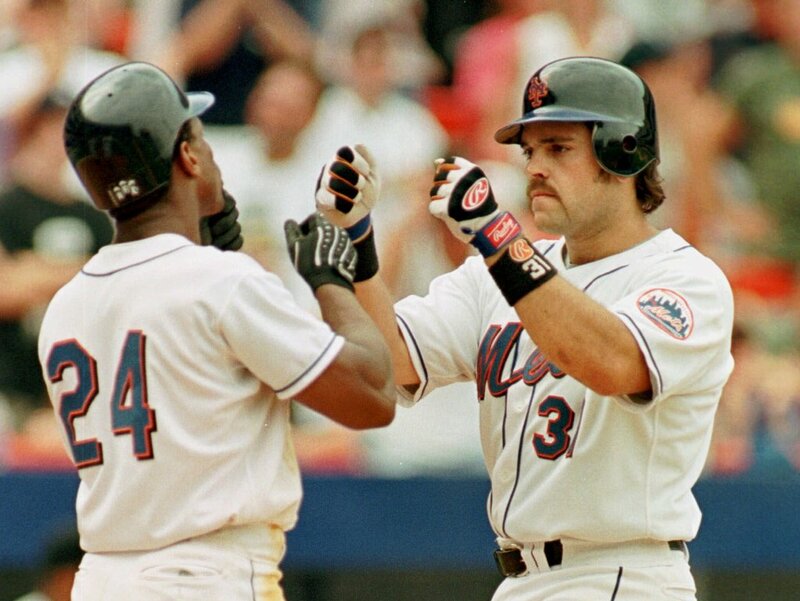 When the Mets brought the black shadows in in 1998, did they have NOBs on any of their home uniforms? I remember seeing the shadows appear at the same time that they took the NOBs off, and the addition of one piece of complexity (the shadows) was made up for by removing another (the names). The backs of those jerseys looked pretty good, particularly the non-pinstriped ice-white home jerseys. Shadows look absolutely terrible with NOB letters but I think they’re fine when you just have numbers.